The delight of having vegan company! I made the decision early on not to use this space to write about recipes or concentrate too much on my individual vegan food practices (there are too many great vegan blogs out there already doing that such as Post Punk Kitchen and The Vegan Woman ). I wanted instead to write some journalism and/or shape some academic thoughts around vegan practices to be ready, down the line, to contribute to vegan indie media, of which there are also already wonderful examples such as Our Hen House and Free From Harm, and to shape my academic and creative outputs in responding to thoughts on veganism. But sometimes the simplest stories are the most important. A friend has been staying for the last five days, one of the very few of my old friends who is also making the transition to veganism. This not only makes everything easier in terms of being hospitable—in fact, all friends who came to stay would be happy to accept vegan practice in food or drink choices while they stayed—but more so in the sharing and reinforcing of vegan principles and the mind space for vegan thought. To be ‘allowed’ to talk about it, rather than be told ‘don’t start’ or ‘I’d rather we start with the starving children’ (as if being vegan somehow precludes me from caring for other humans… such a common response, I’ve found already). In yesterday’s Guardian was a piece by Gary Younge on racism, which at the moment is in the news because of the treatment of the Roma in Sheffield and South Yorkshire (a story he’s been following for over a decade). That leading MPs such as Nick Clegg and David Blunkett have exposed themselves as ‘liberal racists’ in their treatment of the Roma people. The flourish Younge draws upon to make his point is that phrase “I’m not racist but…” which always precedes a racist statement. I wonder what the speciesist version of this is? “I’m not speciesist but…” which is always going to precede some act of violence, e.g. “I eat meat / contribute to the animal holocaust / don’t think animals have rights, except our pets of course.” The thing about speciesism is that it is so invisible to most people that we don’t even need the qualification. Very, very few people believe the abuse and slaughter of billions of animals every year is anything to do with them; or don’t see it as a problem; or simply don’t think about it. Of course, I know this is structural—the system that profits from such abuse of animals as products survives through myth, invisibility and dissociation. But for people passing judgements of vegans, somehow it is not structural. Somehow we are not highlighting the structural inequalities that make our world violent and poor; somehow we are imposing our difficulties on the natural order of things. Anyway… What was good about spending time with another vegan was the opportunity to offer and encounter support, both spoken and unspoken. Things begin to compost, turn, change. 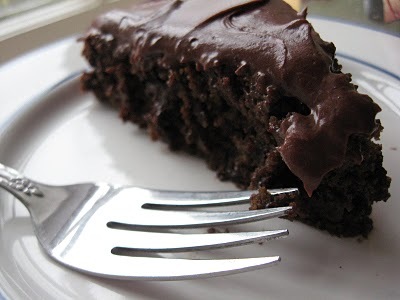 It has something to do with the weather, and something to do with the physical and verbal turning over of rich soil in the mind, of baking vegan chocolate cake and learning from others. We certainly didn’t agree on everything (honey, cruelty-free eggs, eco-socialism) but it was good to be having the conversations. I’ve been criticised (or rather caringly cajoled) by friends for stating that I’d only really want to date and live with another vegan (or vegans! In a community). But spending time with another person in my home (I live alone) who is vegan has reinforced that sense of want, and need. It is not looking for an identikit lover or partner. It is knowing what the fundamental, non-negotiables are, for living a life aligned with your significant others, in creative, important, intimate spaces. And also someone who is a bloody good cook.